HunterXHunter is simply the best!!! I want to thank Jade for lending me this DVD! As in it's so nice! I love the story and it just overwhelms me to watch something of great beauty and art! Buhuhu!!! Gon Freecs, a young boy that lives on a small island learns that his father who he doesn't remember is an extremely famous man and has become somewhat of an amazing hunter. 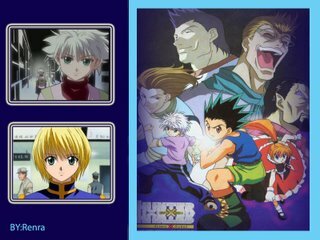 Gon takes the hunter exam to seek out his amazing father, but on the way while teaming up with 3 other candidates, Kurapica, Leorio, and Killua, he learns that there is more to becoming a hunter and the challenges that he must face will be beyond his imaginations. To further his quest to find his father, Gon Freecs and his friend Killua enter the world of Greed Island, a video game which Gon's father helped to create. 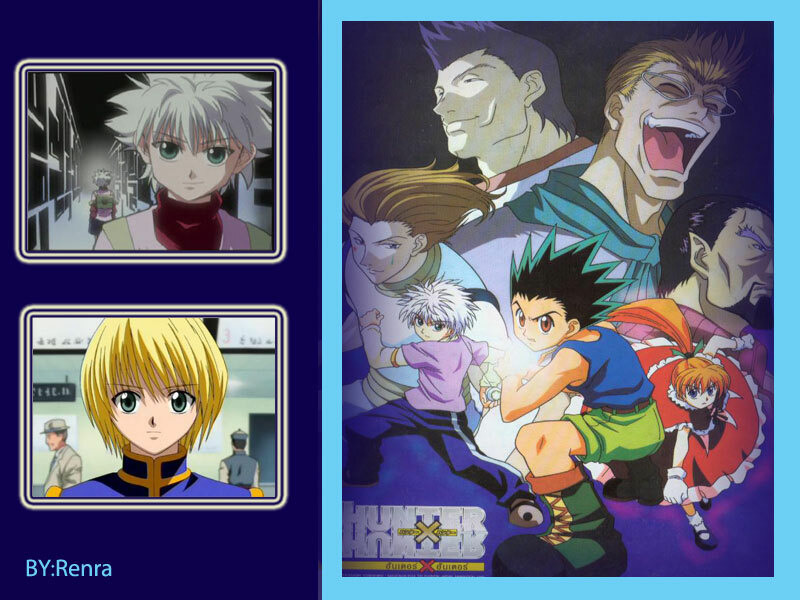 Once inside the world of the game, Gon and Killua are faced with a combination of new allies and new enemies. Blah, blah, blah... I urge you to watch it so you'llshare with me the ecstacy of HunterXHunter!!! I AM PROUD TO BE AN ATENEAN! I don't read forwarded chain messages... why?